Fittest Company Challenge Luncheon to be held November 28! Join us for our annual Fittest Company Challenge Luncheon on Tuesday, November 28, at noon, at the new ORNL Federal Credit Union location off of Pellissippi Parkway and Northshore Drive. This is a great opportunity to learn how to encourage your company’s employee participation in the 2018 CHKM and its Fittest Company Challenge. Attendance if FREE, but space is limited. 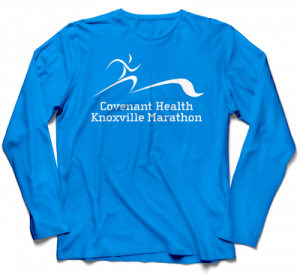 If interested in attending, contact us at knoxvillemarathon@gmail.com. Thanks to our friends at Humana for sponsoring the Fittest Company Challenge!